Description All youth ages 5-18 are welcome to participate in 4-H programs. 4-H is the University of Maryland's youth development program, and it is part of the national 4-H system. The program is available to youth in every community across the U.S There are three primary learning areas: science, healthy living, and citizenship. Lessons are planned and taught by 4-H staff and volunteers. Through participation in the program, youth learn project-related knowledge and develop skills for success in life. 4-H teaches youth through hands-on “learn by doing” activities that encourage children and teens to experiment, innovate, and think independently. Youth use their HEADS to learn and develop life skills, their HEARTS to support and encourage others in their 4-H clubs, their HANDS to carry out a wide variety of community service projects, and their HEALTH to improve the quality of life for themselves and others. National studies have documented that 4-H members often do better in school, are more motivated to help others, have confidence to try new things, develop self-esteem, and create lasting friendships. 4-H can be a fun, educational experience for your entire family. In Talbot County, youth experience 4-H by means of community clubs, project clubs, in-school and after school programs, and community activities such as the county fair and public speaking contests. They choose from a wide range of projects including public speaking, leadership, community service, career education, visual arts, food and nutrition, clothing and textiles, photography, animal and plant sciences, woodworking, and science/technology. Description Enhance your life through learning both within and outside classroom environments. An academic cooperative run by members who volunteer their time and talents, ALL offers courses, group discussions, presentations, field trips, and social events conceived and conducted by members. The programs encompass a diverse range of topics, including ecology, literature, history, religion, science, current events, photography, philosophy, gardening, and more. Courses are held on the CBMM campus and at nearby locations. (ALL) membership offers you a discounted rate for all courses and can be purchased at the below prices. CBMM members: $25 per person; $40 per couple. Non-CBMM members: $30 per person; $50 per couple. Visit their website to view the current course list. Description Adult Education; Adult Basic Education; Adult High School Diploma Programs; GED / High School Equivalency Test Instruction; Work Force Training; Computer Training; Skilled Trades Programs; Youth Programs . Many of the GED prep classes are free. See the Chesapeake College website or call for registration information. Description Helping individuals with disabilities for more than 50 years with educational, residential, vocational and day services for children and adults ages 5 and older. The Benedictine School is a non-graded, twelve-month residential and day school for males and females, ages 5-21, grades K-12 with mild-severe intellectual disabilities, multiple disabilities, and autism. School programs include: functional academics; speech therapy; psychological, psychiatric, social work, counseling and case management; assistive technology; physical and occupational therapy; vocational and transitional services; and intensive collaborative programs designed for students within the Autism Spectrum. Benedictine Adult Services is a residential and vocational program for adults ages 22 to 60+ who live in the community or in group homes with peers and continue to work within the Benedictine vocational program. Benedictine is a fully approved, non-sectarian service provider caring for individuals with special needs without regard to racial, ethnic, or religious background, on Maryland’s Eastern Shore. Description BAAM, Inc. is an after school tutoring program for African American males in grades 1-5 from Easton Elementary School who are at risk for failure. We aim to recognize and address socioeconomic barriers that inhibit their ability to learn effectively and provide academic enrichment in a safe, caring, and structured environment. Description Talbot County residents between the ages of 16 and 24 that are not in school or working are eligible for free employment training. This program will assist Opportunity Youth develop critical employment soft skills and offer training opportunities as they move along their path to achieving their educational and/or employment goals. Character Counts Mid Shore, Inc. Description Six Pillars of Character - Trustworthiness, Respect, Responsibility, Fairness, Caring and Citizenship. Character Counts Everywhere, All the Time! That is the message of the National Character Counts Coalition of which we have been a member since 1996. Character development doesn't end at the schoolhouse door. Young people aren't going to buy into a philosophy if they don't see adults demonstrating it in their daily lives. To that end, Character Counts Mid Shore makes available a variety of strategies that can help adults come to terms with the important position of "Role Model". Staff Trainings: Whether for school teachers and administrators or business executives, Character Counts in the workplace too. Community Partnerships: Character Counts Mid Shore fosters relationships between the businesses, schools, service organizations and youth activities. Businesses have formed the backbone of our Winners Walk Tall Program by providing dozens and dozens of volunteer coaches. Businesses and Foundations have also gone to bat for Character Counts, assisting with the purchase of Character Counts resources for students, sponsoring activities and providing services at no cost. Description Chesapeake Christian School, located in picturesque Easton, Maryland, has been reaching students for Jesus since 1999. Striving for academic excellence, our K-4 through 12th grade facility offers the traditional classroom setting with an average teacher-student ratio of 1:15. Additional academics opportunities include independent studies, dual enrollment, and internship programs. CCS offers many opportunities to produce well-rounded students with Christian values. We offer programs such as band, choir, handbells, drama, student-led Bible studies, prayer groups, and community and global outreach projects. Students also enjoy competing academically with area schools, both private and public. Description Child Find is a process in which children with special needs are identified. Preschoolers and school-age children who have suspected or already identified problems in development may which interfere with their educational progress may be referred. Who is Eligible for Child Find? Residents of Talbot County, ages 3-21, who have suspected or diagnosed delays in thinking and reasoning, speech and language, motor skills, self-help skills, social and adaptive behavior. All services are provided by Talbot County Public Schools at no cost to the family. Hours Trainers are available to do the training during regular business hours, evenings and weekends. Description Empower Me is a child abuse prevention program that teaches safety skills to children ages 3-12. There is also a training available for adults to educate them about the Empower Me program. Instead we teach children that if any person tries to make us break our safety rules OR any person who gives us the uh-oh feeling— we tell one of our five trusted adults. Description Economic Development and Empowerment Program for girls in Easton, Maryland serving underprivileged girls in the sixth grade attending Easton Middle School. The goal is to encourage them to be viable contributors to the future workforce and help build a stronger community. Description Workshops for community members seeking to move from financial instability to stability. Description Healthy Families Mid-Shore is an evidence-based, accredited home visiting program of the Queen Anne's County Department of Health in partnership with Talbot County Health Department, Kent County Health Department and Caroline County Health Department. The families served are eligible for Maryland Children's Health Program or are uninsured and must reside in Queen Anne's, Talbot, Kent or Caroline Counties. Highly trained Family Support Workers deliver home visiting services to families facing some challenges. Using the "Growing Great Kids" curriculum, the Family Support Workers offer support services, resources and education for prenatal / postpartum women, fathers, and infants. We conduct developmental screenings for children, provide referrals to community resources and provide information regarding essential parenting tips. The program is voluntary and geared towards each family's individual needs. For more information please contact Healthy Families Staff. Description Nutrition classes and meals in the TAYA after school program. Open to all age eligible students. Description A powerful online job seeker/workforce services system that provides fast access to a complete set of employment tools in one website. It was specifically designed for job seekers, students, case managers, employers, training providers, workforce professionals, and others seeking benefits and services. Description Assistance reconnecting with school or work to Talbot County residents, between the ages of 16 and 24, that are not in school or working. Description ​Since 1955, Saints Peter & Paul Parish and School has been a dynamic, rapidly growing Catholic community in Easton, MD. Our Parish community is represented by three churches and Maryland's only Catholic school on the eastern shore. As a parish supported, co-educational school, we provide a safe, nurturing environment for academic excellence to children from pre-kindergarten through eighth grade. Our school community includes Catholic children from surrounding parishes as well as children of all faiths. Saints Peter & Paul Catholic High School endeavors to graduate students who are strong in mind, body, and spirit and who can think critically, creatively, and globally in a faith-based environment where they join with faculty in a quest for wisdom, knowledge, and grace before God and their fellow human beings. Description We're a highly driven team of 752 educators, leaders, managers and administrators, wholly dedicated to serving eight schools spanning Talbot County in Maryland. Mission: We leverage innovation, compassion and inspiration to empower students to realize their full intellectual potential. College and career preparedness is at the heart of everything we do. Description Talbot Family Network concentrates on prevention and early intervention services to children, youth and families in Talbot County. Tasks include planning, developing and monitoring family-oriented, community-based programs that are culturally relevant. 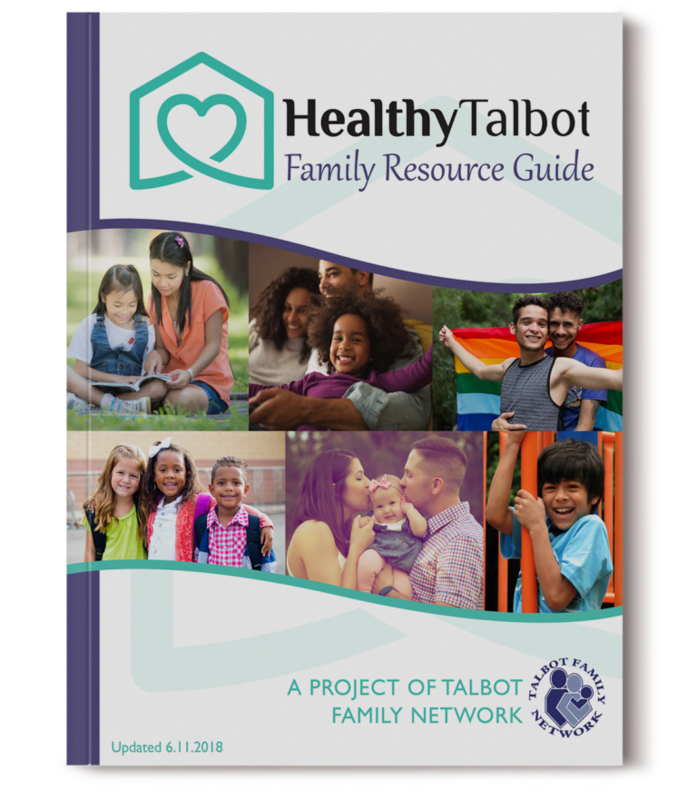 To prevent fragmented and duplicated services in the county, Talbot Family Network serves as the coordinating body for community-level grants and initiatives. Collaborating with Talbot Family Network, a number of community task forces develop long-range plans based on proven or innovative strategies as well as on previously collected local, regional, state and national data. These efforts focus on two outcomes: Children are Safe in their Homes and Community and Children Enter School Ready to Learn. Description The mission of Talbot Mentors is to work to ensure that all young people in Talbot County have the opportunity to mature into engaged and productive members of their communities. Through consistent support, guidance, coaching and role modeling, our volunteer mentors will strive to instill values and standards, and help these young people prepare for success in their personal and professional lives. Talbot Mentors will achieve this mission by fostering partnerships to support and expand the power of one-on-one mentoring. We will also actively engage in other programs designed to help these young people achieve their full potential. in the challenges and opportunities of adolescence through friendship, guidance, and education. Description The Country School is an independent, coeducational, K-through-8 school founded in 1934. The Country School’s mission is to provide an outstanding academic experience for our students. We do so by adhering to some simple, but time-tested and powerful basics: small classes, individual attention, and an appropriate level of challenge for each of our learners all in a warm and nurturing family setting. Our school, while traditional and structured, is also wonderfully innovative, rich, vibrant, and child-centered. Our program provides our students with an outstanding faculty and with a firm grounding in essential academic skills yet also engenders a life-long love of learning. Description The Tilghman After School Kids provides after school enrichment programs for our K-5th graders. Programs are open to all area children regardless of their ability to pay. Description Tilghman Area Youth Association is a local organization striving to unite families and communities. We promote health, wellness and kindness. It incorporates the Tilghman After School Kids Program (TASK). Additionally, TAYA provides enrichment for our “tweens” and teens and the goal is to connect our children to family and community. TAYA also sponsors summer camps for grades K-6, involving grades 7-12 as assistants. The camp is held each summer, generally in July, at the local elementary school. Description Looking for a new career? American Job Centers provide training and career coaching to help you find a great job! Training scholarships are available. Gain new skills at little or no cost! The Upper Shore Network of American Job Centers serves Caroline, Dorchester, Kent, Queen Anne’s, and Talbot Counties. You are welcome to visit any of our five locations to get started - no appointment needed! Training programs are available in healthcare, truck driving, computers, manufacturing, and many other areas! Description Our mission is to provide Career and Training services that will lead to employment that is relevant and supportive to the local five-county economy. We are committed to assisting employers by offering in-demand training options designed to qualify individuals for careers in the region. Description The YMCA offers programs for all ages. Visit http://www.ymcachesapeake.org/programs/ for program information by location. Child Watch available.